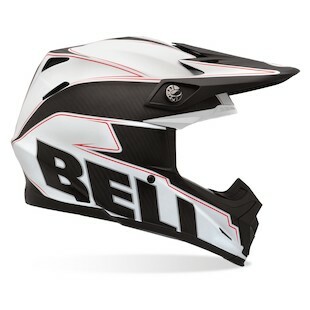 Bell Helmet's Moto 9 dirt lid is completely performance focused and now has 3 new graphics. Aerodynamic, lightweight, comfortable, and featuring many safety elements, the Bell Moto-9 Helmet has taken dirt helmets to the next level. Featuring a brand new Eject Helmet Removal System, the Moto-9 allows first responders to easily and gently remove your helmet in a serious accident scenario. The Moto 9 is already known for its Snell 2010 certification, TriMatrix composite shell, and adjustable Flying Bridge Visor. 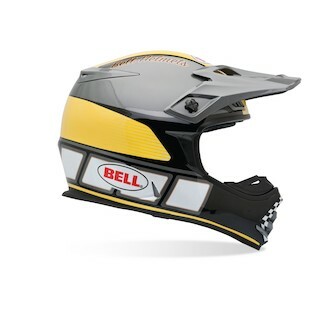 The Bell Moto 9 Emblem helmet is in 3 colorways: hot yellow, blue/black and matte black/grey. Bell Moto 9 Hurricane is a red, white and blue graphic, with stars on top, metallic flaking, gradient blue that changes colors, and a galvanized steel look along the jawline. Bell Moto 9 Unit Multi features replica artwork by Tagger Designs. Originally found on surfboards, these graphics are now found on a variety of motocross and roadracing helmets. 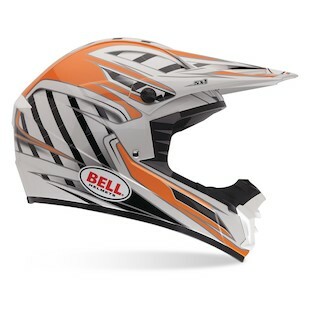 New in 2012, Bell SX-1 helmet represents Bell Helmets sub-$100 model that packs in a ton of features generally unseen at this price point. A lightweight and protective polycarbonate shell, Bell's force-flow ventilation system, a completely removable and washable Coolmax moisture-wicking liner, and a full five-year warranty are just some features that set this helmet apart from the competition. There are 2 fresh graphics to add to the lineup. 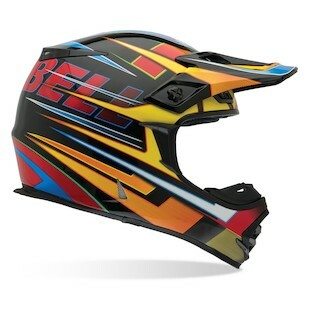 The Bell SX-1 Switch helmet is available in 6 colorways: black, red, yellow, orange, green and blue. Bell SX-1 Crusade incorporates yellow and green neon stripes on top of gloss black. 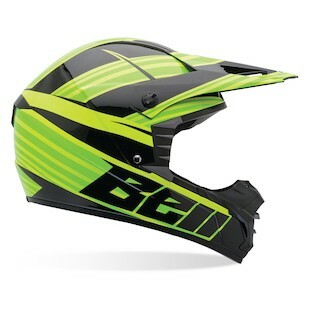 Arriving as the mid-level complement to the pro Bell Moto-9 Helmet, the Bell MX-2 Helmet borrows much of those technologies but lands at the sub-$200 price point. The MX-2 utilizes a lightweight fiberglass shell and the Bell Helmets force-flow airflow system. Inside, the removable, washable Coolmax cheek pads and comfort liner allow you to maintain day-long comfort thanks to the moisture-wicking and antimicrobial properties. On the flip side, you can also to clean it up when necessary, preserving its longevity. The Bell MX-2 Reverb graphic includes gloss black, orange and metallic silver with a tectonic feel and aggressive look. 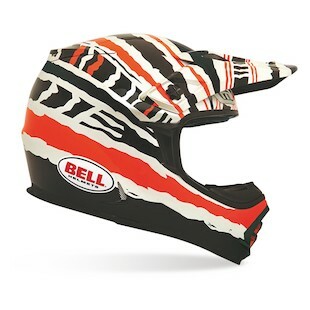 The Bell MX-2 Daytona sports clean lines and a checkerboard chin guard, and comes in a classic grey/yellow/black graphic. 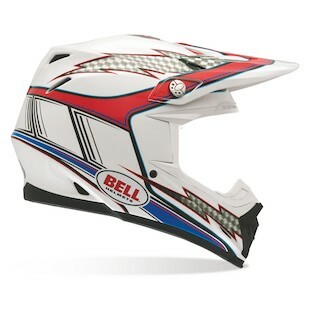 The Bell MX-2 Breaker helmet comes in 4 colorways: silver, red, blue and multi. 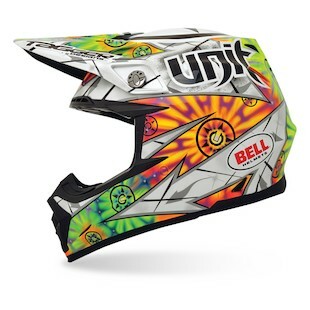 The MX-2 being a favorite of motocross riders, the Breaker graphic will certainly be a colorful and popular addition.